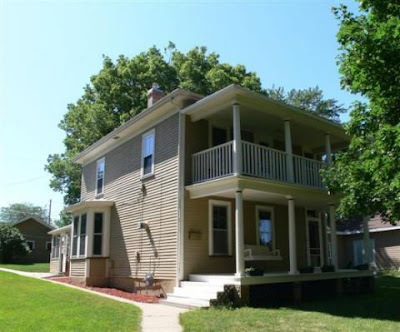 Ok, so if you were to move to Yankton, South Dakota, this lovely 1910 remodeled 3-bedroom house on a double lot is only $129,000. Only $129,000!!!! On the west coast that house (keep in mind that double lot) would be in excess of a million. Probably 1.2 or 1.3, for sure. I guess we're looking in the wrong market. I bet it has a nice lot of land it sits on too! :-P I wish housing prices were like that here in Seattle. Yes, but it's in South Dakota! : ( Not exactly the most "happenin'" of places. Yes, that is the deal breaker: lovely South Dakota. No Thank You! South Dakota is not a location I intend to move to anytime soon. NZ sure, not either of the Dakotas!